That looks like rough gravel use wear and tear. The toe, caster or camber is set wrong. The cause of this can be many things. Wear on steering components, wear on suspension components, bumping into curb, driving over the sidewalk suspension modsetc. Take it in for a check and alignment. The toe, caster or camber is set wrong.<br>The cause of this can be many things. Wear on steering components, wear on suspension components, bumping into curb, driving over the sidewalk&nbsp; suspension mods etc. Take it in for a check and alignment. Thought so too. Unless it's an alignment issue, it seems some surfaces chew up the Duellers. The Hankook replacements lasted 80 000km on the same vehicle. 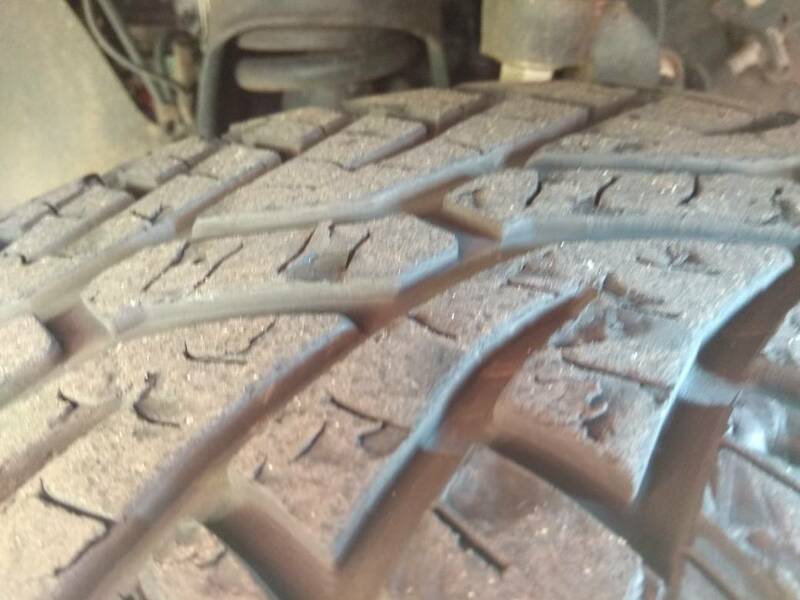 It’s a general problem on Ford Rangers with the factory Continentals to have this problem with the degradation of the tyres. I did wheel alignment, tyre rotation etc and the problem just got worse. Chunks of rubber just break off. Ford does nothing about the problem and Continental even less. Thought it was the Goodyears? Is it both? Looks the almost the same as my continental lx front tyres. And this specific tyres look like continental crosscontact AT. I thought mine were due to over inflation and bad gravel roads. 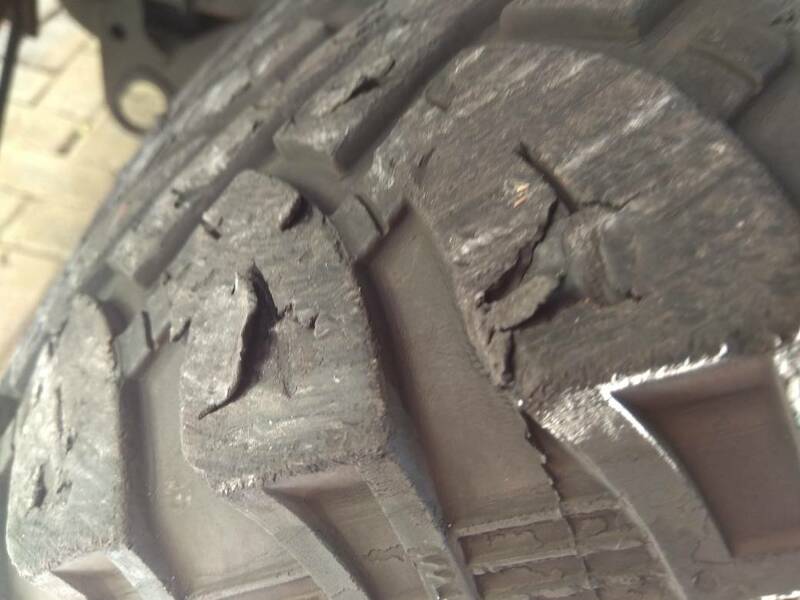 Atleast that is what they say is a possible cause in one of the SA4X4s which detailed tyre wear and most common causes.